Some MVR3million (US$194,550) is required to help more than 300 households in southern Addu City recover from flood damage, but only MVR200,00 (US$12,970) has been raised so far, the city council has said. 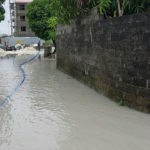 Some MVR3million (US$194,550) is required to help more than 300 households in southern Addu City recover from flooding caused by heavy rainfall last week, the city council has said. The council has donated some MVR200,000 (US$12,970) to the recovery fund, while the main opposition Maldivian Democratic Party raised MVR 29,00 (US$1,880) this weekend. The government is awaiting a report from Finance Minister Abdulla Jihad and is yet to make an estimate of recovery costs. Twelve hours of torrential rain a week ago left parts of Addu City under a foot of water. Some streets were impassable, while flood water damaged household appliances and furniture in hundreds of households. 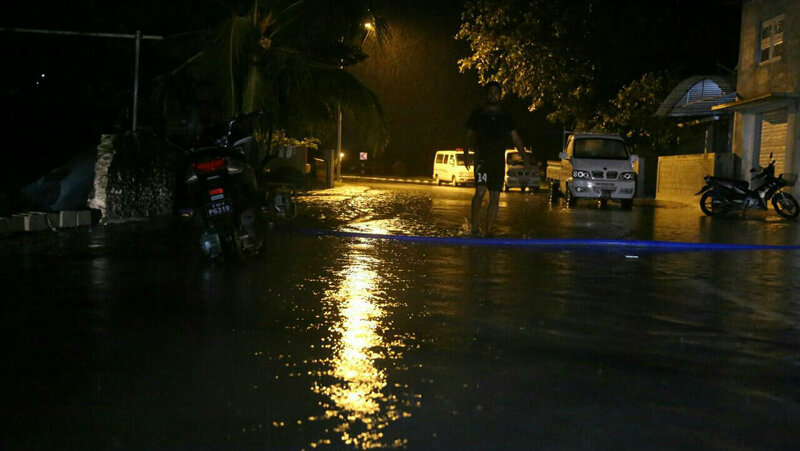 The rainfall was the heaviest Addu City has seen in 40 years, according to the department of meteorology. 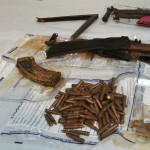 “We estimate the people suffered a loss of more than MVR3million (US$194,550). Most have lost almost all of their household items like furniture. 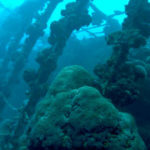 Due to this we have not been able to return the city to normal state,” Thoyyib said. The Feydhoo and Maradhoo-Feydhoo wards suffered the worst damage. With the help of the security forces, excess water has been pumped out or diverted to the ocean by digging canals. “The victims don’t need us going over there with our big suits and ties. They want help, money and that’s what we are trying to get them. 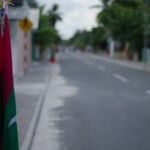 But so far we have been able to collect just over MVR200,000 (US$14,000),” Thoyyib said. Finance Minister Jihad visited Addu earlier this week as President Abdulla Yameen’s special envoy and inspected the affected households. A special report will be handed to the president this week, he said. The National Disaster Management Center has also pledged to provide financial support to victims, but a careful assessment is needed first, a spokesman said. “We cannot just distribute money when we want to. The situation should be assessed first. 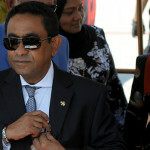 Meanwhile we are helping the victims in whatever way we can,” Umar Moosa said.